I love when we do an out of town or destination wedding. When we arrive to our room and there is a wonderful welcome kit or basket waiting for us. Sometimes we find personalized goodies, sometimes little bottles of wine, but we always find yummy treats! And let me tell you that after you have been working at the wedding for 12 hours or so and you get back to your room after midnight, those goodies are a God-send! I know your guests will feel the same way! Our favorite welcome kit had homemade buscuits and jam! I never tasted anything as good at 2:00 a.m. when the wedding ended. 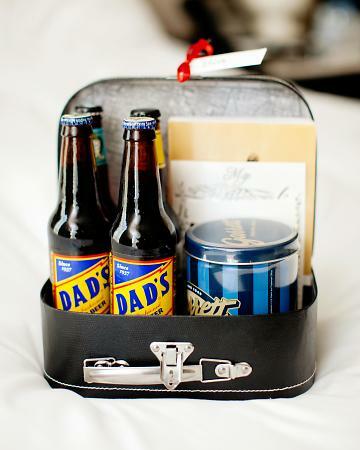 Gifts that are unique to the city are great for out of town guests too! Here in Birmingham we have a lot of neat options - have fun with it. Here is one example I found of welcome kits. It is from Martha Stewart Weddings, by Olivia Leigh Photographie.